Agent Derek Morgan might be dead. He might also be gay in real life. Such were the speculations on actor Shemar Moore&apos;s rabid Instagram account—1.8 million thirsty fans deep—before a pivotal episode of Criminal Minds. Moore had portrayed the beloved FBI agent since the show&apos;s inception in 2005. Criminal Minds, now in its 11th season, is a procedural crime show that focuses on the bureau&apos;s Behavioral Analysis Unit (BAU), whose members profile serial killers all across the country. An average episode focuses on one case, which usually gets solved at the end of the hour-long run. There&apos;s also always at least one bigger mystery, which becomes a season-long story arc. Anyone more than just a casual fan of Criminal Minds knew that the 249th episode (season 11, episode 16), which aired on March 2, would be no average episode and that it would be a crucial one for one of its main characters, Derek Morgan. Moore had been teasing the episode, titled "Derek," ahead of its air date with stills and quotes on his Instagram, which made fans think he was going to die, especially following the episode in which we saw him get drugged and kidnapped by a group of dangerous hitmen. This is no joking matter for Criminal Minds fans. The fervor is something you wouldn&apos;t notice if you&apos;re not in the Criminal Minds streets, but the fan sites alone are aplenty.​ The comments on Moore&apos;s posts—which sometimes run thousands deep—were a mix of speculation over Agent Morgan&apos;s death ("DO I WANT TO WATCH THIS," "YOU CAN&apos;T DIE," "DON&apos;T LEAVE OR I&apos;LL STOP WATCHING"), people leaving phone numbers, and a flood of "BABY BOY" messages. "Baby boy" is what fans started calling Shemar Moore after "baby girl" became his character&apos;s catchphrase, a nickname he calls Penelope Garcia (Kirsten Vangsness), the team&apos;s technical analyst with whom he&apos;s had a heavily flirtatious platonic relationship. The brand recognition of the catchphrase is so strong, Moore was able to launch his own line of merchandise on the strength of it. But in the midst of fans wondering Morgan&apos;s fate (spoiler: he survived, but exited the show after the March 23 episode), people were extra thirsty to know more about Moore&apos;s personal life, especially when it came to those gay rumors that have always followed him around. "That’s been going on my entire career," Shemar tells me over the phone. "I’m not homophobic, but there are people who want to call me names and question my sexuality because I’m not married, I don’t have kids, and I keep my private life to myself. It’s funny because if I start showing up in public with this girl or that girl, then I’m a player or a ladies’ man, but if I don’t show up with somebody then I’m gay. It’s just stupid. I said a little something just so people would back off." What followed was the Instagram post below, which currently has more than 63,000 likes and 5,000 comments. "Oh, my fans are out of their minds," Moore says with a laugh. "In a good way. There’s a bunch of naughty ones out there but there’s a lot of sweet ones. They&apos;re like, &apos;I’m dead,&apos; &apos;OMG,&apos; &apos;I can’t,&apos; &apos;daddy&apos;... I thought that meant, like, the young ones wanted me to be their father, but I found out they wanted another kind of daddy." He continues: "I try to read and I interact from time to time. 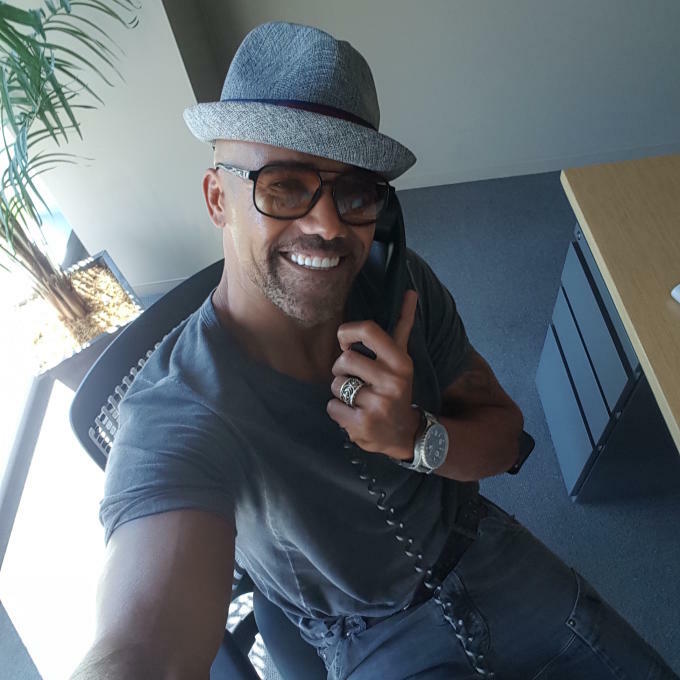 I’ll take like an hour, sit down with a glass of wine, and keep up with them like, &apos;Hey babygirl, I see you, what’s up sweet thing.&apos;"
An exclusive selfie from Shemar Moore for Complex. The size and fervor of the Criminal Minds fanbase speaks to the show&apos;s long-running, idiosyncratic quality. It&apos;s rare that a TV series maintains value (and most of its cast) for 11 years, but Criminal Minds is still going strong. 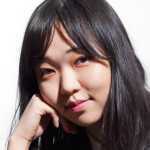 Its popularity is helped by the demographic of the people who watch it. The show&apos;s co-executive producers Mark Gordon and Erica Messer told me that the age demographic is very wide (18–49), but women are especially invested in the show. Messer says, "I know I love solving a mystery, so I feel like because we ultimately do get to solve mysteries every week, a lot of women watch for that reason." That&apos;s ultimately why I&apos;ve been such a huge fan of the show for so long, but it&apos;s not the only reason. Now, with the growing presence of social media, there&apos;s also the element of getting to know the characters intimately off-camera as well. Now, there&apos;s the potential joy of being called "baby girl" by Shemar Moore. Tari Jordan, who runs several Criminal Minds fan sites including CriminalMindsFans.com, says that her readers and the people who like her Facebook fan page are "overwhelmingly women—like, higher than 80 percent." Jordan has a theory for why the characters on the show are particularly appealing to women, even if creators never specifically targeted the demographic. "Women really respond to honest emotion," she says. Each of the women characters is someone we see in ourselves or aspire to be. And the men are attractive in their own way, whether it&apos;s the hunky Derek Morgan, the stern leader Aaron Hotchner, or the nerdy-cute Spencer Reid. The frequently shirtless Shemar Moore isn&apos;t the only one who has a hoard of fans. Plunge into each individual characters&apos; Twitter and Instagram accounts and you&apos;ll find Criminal Minds fans going hard. Jordan&apos;s favorite character, for instance, is the young genius Spencer Reid (portrayed by Matthew Gray Gubler). Hannah Clarke, who runs the @BAU_United fan Twitter account, also says Spencer is her favorite. Jordan is in her late 40s and lives in the U.S., while Clarke is 22 and lives in the U.K. There&apos;s really no rhyme or reason to which profiler appeals most to which person, but the cast is diverse enough for almost anyone to find someone to latch onto. It&apos;s also all of them together. The core element to the Criminal Minds loyalty is its cast: We&apos;ve gotten to know and love them for 11 years now, especially those who have been there from the very beginning (Shemar Moore, Matthew Gray Gubler, Thomas Gibson, Kirsten Vangsness, and A.J. Cook). They&apos;ve perfected their onscreen chemistry and we&apos;ve invested so much in them that if there&apos;s any chance of any of them getting hurt or dying (i.e. leaving the show), there&apos;s sure to be a fan freakout. Messer talks about the fans&apos; relationship to the characters as more than just a savior-and-the-saved one, but something akin to a deep friendship. "They are heroes that save us from those real simple, scary stories," she says. "They are such amazing actors and they have built this beautiful team that will rescue the audience and whatever victims they’re rescuing week after week. Even though people have come and gone from our team, you still believe in these beacons of light. You know that every week when you turn it in on you’re going to see your friends up there, on the screen, having to go attack another dragon. I think that’s pretty much invaluable in the longevity of the series." The creators understand that relationship so well that they&apos;re banking on it for the popularity of the new spin-off, Criminal Minds: Beyond Borders, which premiered to impressive numbers on March 16. As with all rabid fanbases, "shipping" happens on Criminal Minds too. "Shipping," for those not in the know, is a term (derived from "relationship") that fans use when they wish for characters to be in a relationship. Penelope and Derek—thanks to all the "baby girl" sweet talk—are the two characters fans seem to ship the most. Spencer Reid and JJ (A.J. Cook&apos;s character) are shipped frequently too. Tari Jordan exclusively writes Spencer/JJ fan fic, some rated NC-17, and some PG, like this one that won the 2013 Profilers Choice Awards out of 30,000-something Criminal Minds-tailored fan fiction. Once, she even "shipped" Derek and Spencer for a friend. "It&apos;s really fun to write," Jordan says. "I love being able to put those amazing characters into situations that the show would never even dare to go to." Aside from her website and the Facebook page, Jordan also runs a Criminal Minds Tumblr, a Spencer Reid Tumblr, and a webcomic page dedicated to Spencer. When I ask Jordan and Clarke if they think viewership will dip after Shemar Moore&apos;s leave, both answer "yes." At least, temporarily. They understand that there&apos;s a big facet of people who watched for his character, and they predict many may stop now that he&apos;s gone, even though the format of the show will stay the same. That&apos;s just the fact of life for Criminal Minds—it&apos;s a show that lives and dies on the relationships its audience has with its characters. But the show will continue to thrive, even if a few mourning Baby Girls fall off. Criminal Minds&apos; fanbase may not be as visible as the rabid ones that belong to Game of Thrones or The Walking Dead, but it is huge. And ultimately, it&apos;s proof that making a show&apos;s audience feel deeply connected to its characters is just as important as a winding plot, shocking cliffhangers, or zombies.